I’ve already posted on facebook, don’t mind the weird face I’m making but check out the HAIR! When you are bored at home with more free time then I was in school, I can discover different ways to do my hair. I was figuring out how to make my hair manageable, yet unique in a “corporate” kind of way. 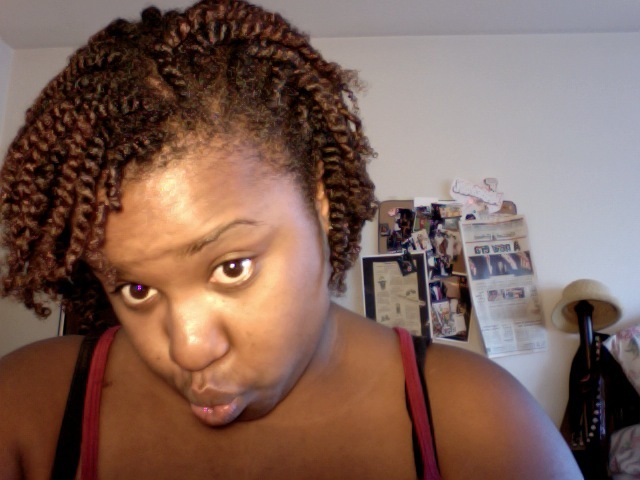 (Interview on Wednesday) Nonetheless, with Maury’s twist Gel and some African Shea butter this is what I came up with. I should start my demo video’s back up shouldn’t I?